Unbeknownst to me July 30th was National Cheesecake Day and coincidentally that day (I’m a little behind in my postings!) 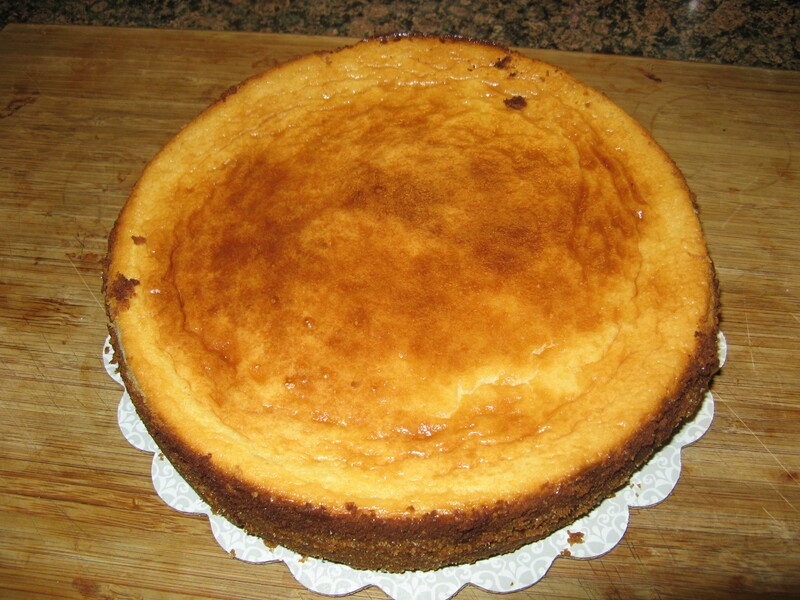 I decided to try out a Ricotta Cheesecake recipe from Marcela Valladolid that I came across in People magazine. 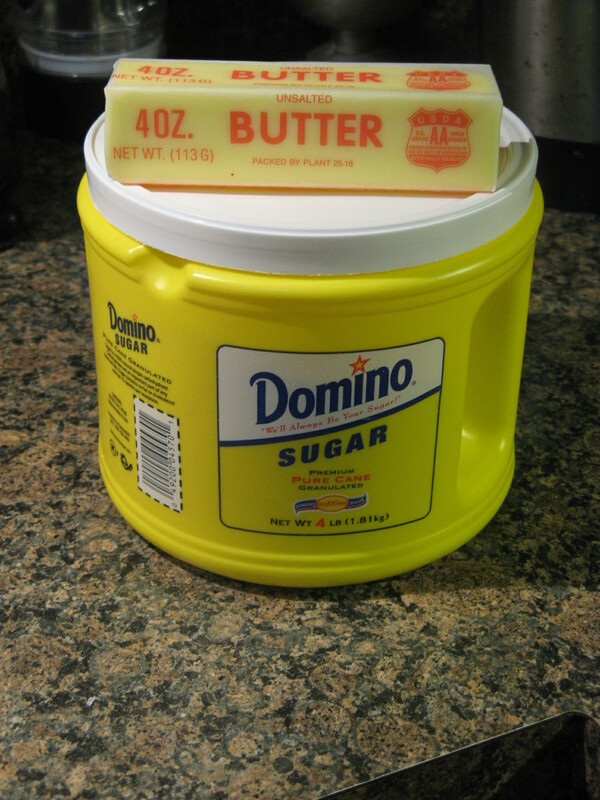 What interested me in the recipe was that instead of using sugar as the sweetener it uses sweetened condensed milk. It was also super simple to follow which is always a plus. I started off by making the crust. 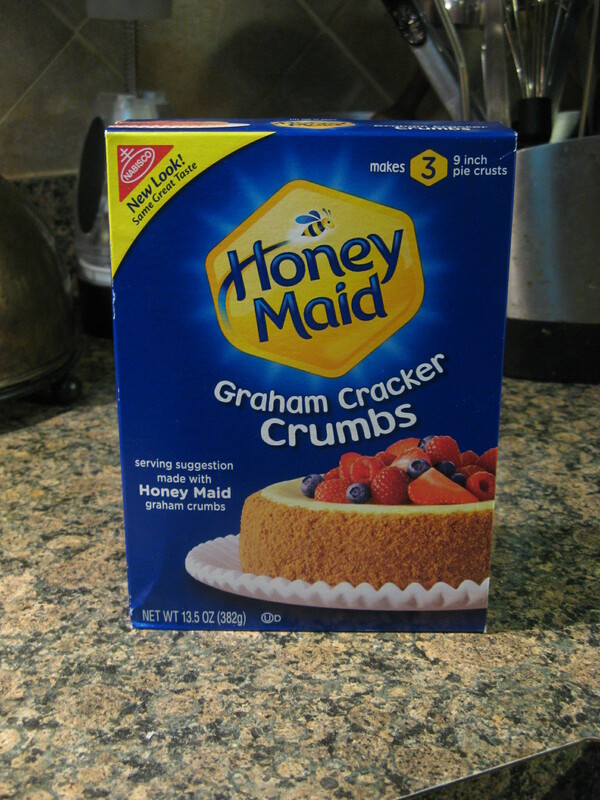 While I know there are traditionalist out there who like to crush their own graham crackers to make their crust – I’ve done it a few times and this recipe actually called for that as well – I am not a big fan of graham crackers so buying a box of them is a waste so I opt to buy them already crushed and ready to use for the specific purpose of making a crust. Along with my graham cracker crumbs I needed butter and sugar for the crust. I mixed all of the ingredients together…. 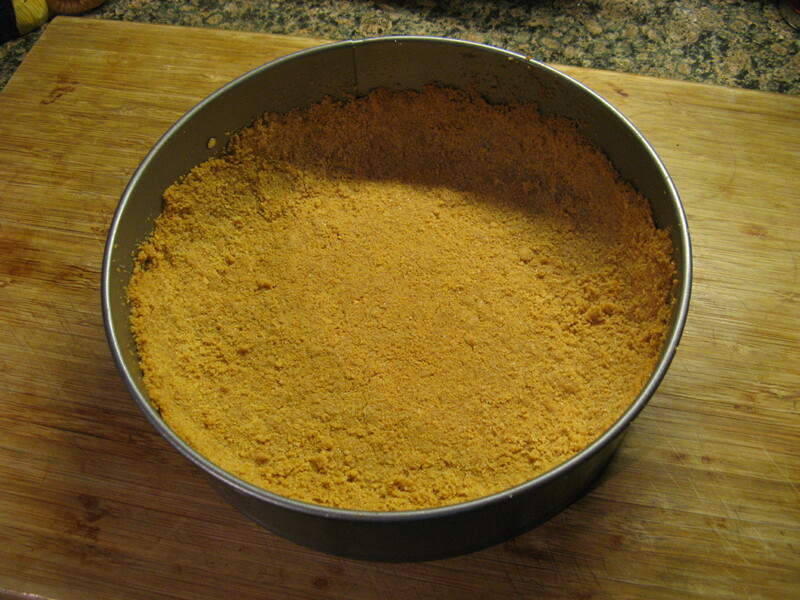 And then pressed the crumbs into the bottom of a 9-inch springform pan and about an inch and a half up the sides. After baking for 7 minutes I let the crust cool while I got to working on the cheesecake filling. 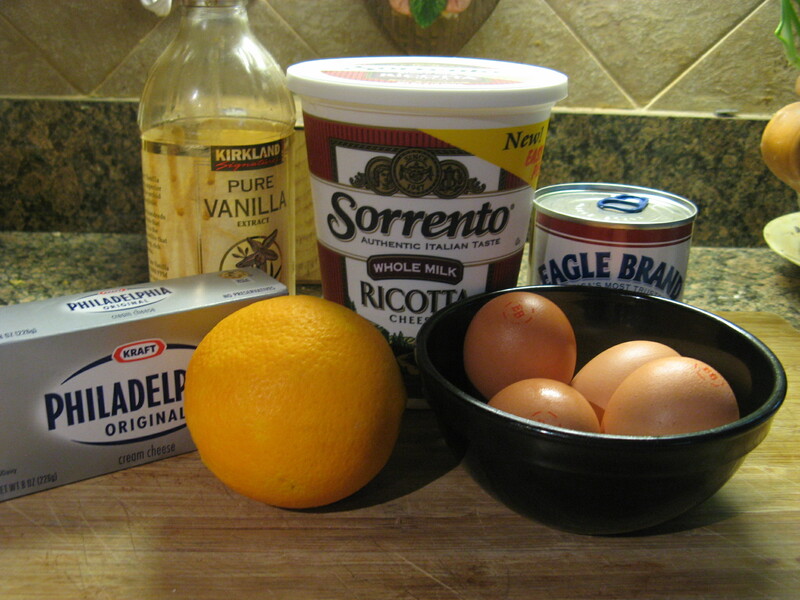 The ingredients were basic: cream cheese, ricotta cheese, sweetened condensed milk, eggs, vanilla extract and orange zest. 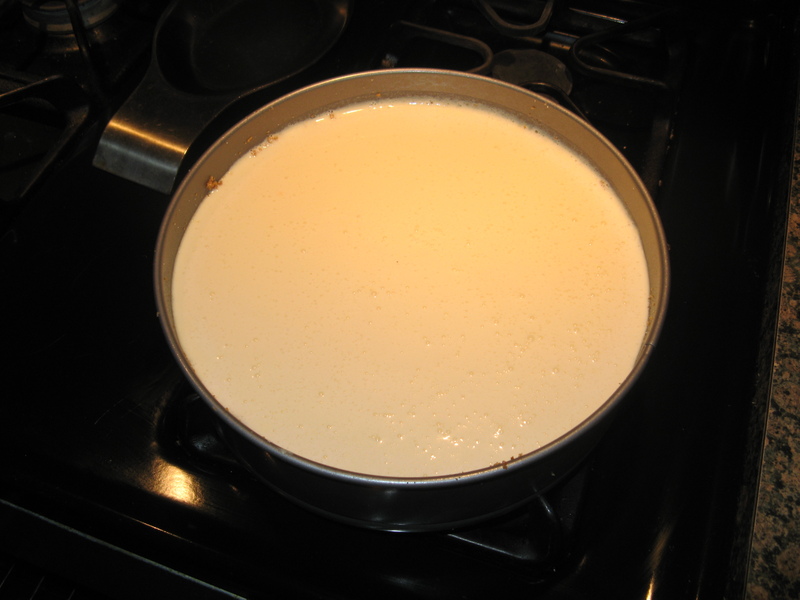 I started by beating together the cream cheese and the sweetened condensed milk. 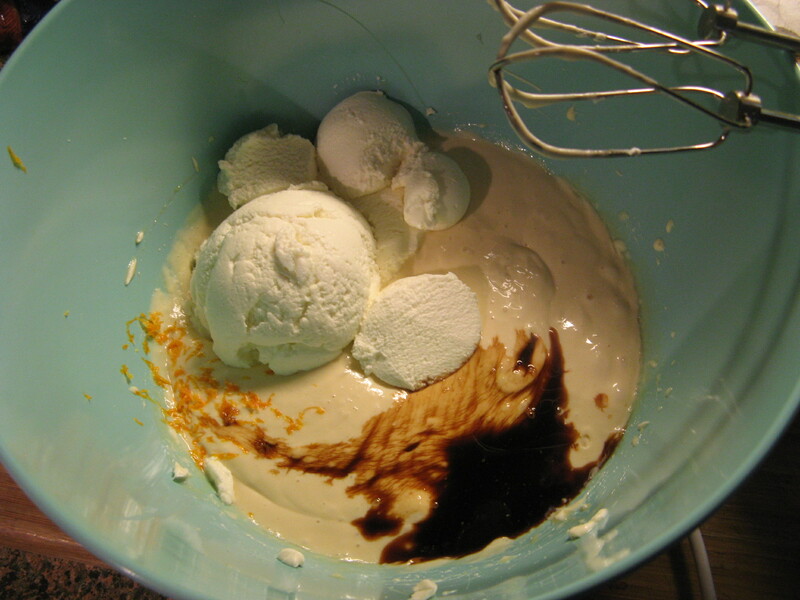 Following that I added in the ricotta cheese, vanilla extract and orange zest. Prior to adding in the eggs I couldn’t resist the temptation of trying the filling and I found it to be awfully sweet and was concerned that the final product would be so as well, but, after adding in each of the four eggs individually the sweetness level of the filling dropped considerably. While I know some people would say it’s not a smart idea to try batter with raw eggs in it I haven’t got sick yet… I’m going to go knock on some wood now! And finally I poured the filling into the cooled crust. After baking for about 50 minutes in a 350 degrees oven the cheesecake was done and looked perfect – yes, it’s a little brown, but, it didn’t crack which I was very happy about! I did attempt to make a quick strawberry topping for the cheesecake by heating strawberry jam, sugar and fresh strawberries in a saucepan on the stove, but, it was a completely fail. I believe the jam I used wasn’t the best quality and it produced a horrible flavor. Luckily though the cheesecake was perfect on its own. 1. Adjust oven rack to middle position. Preheat oven to 350 degrees. 2. 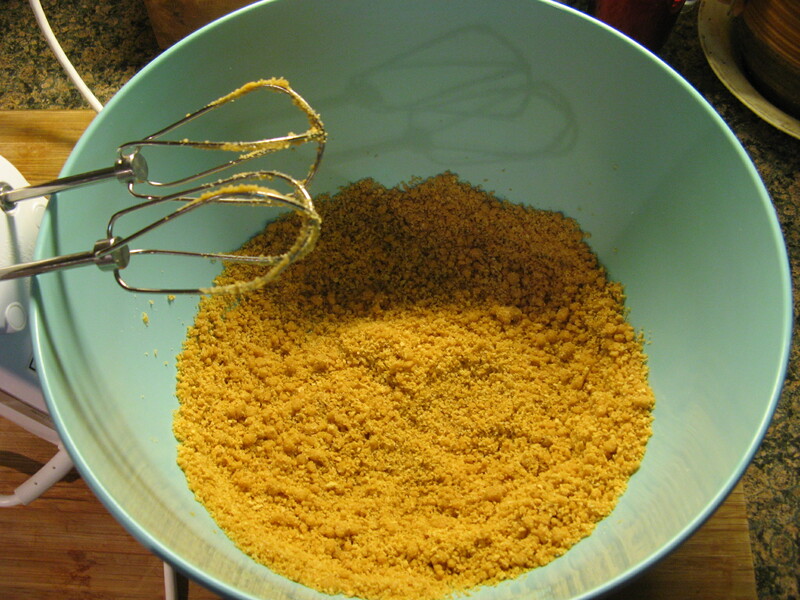 Process graham crackers in food processor until finely crumbled. 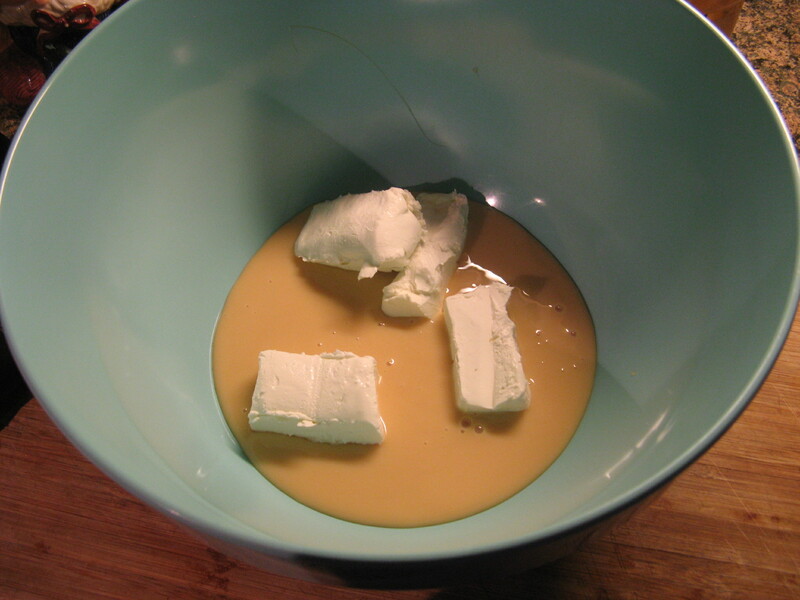 Add butter; process until blended. 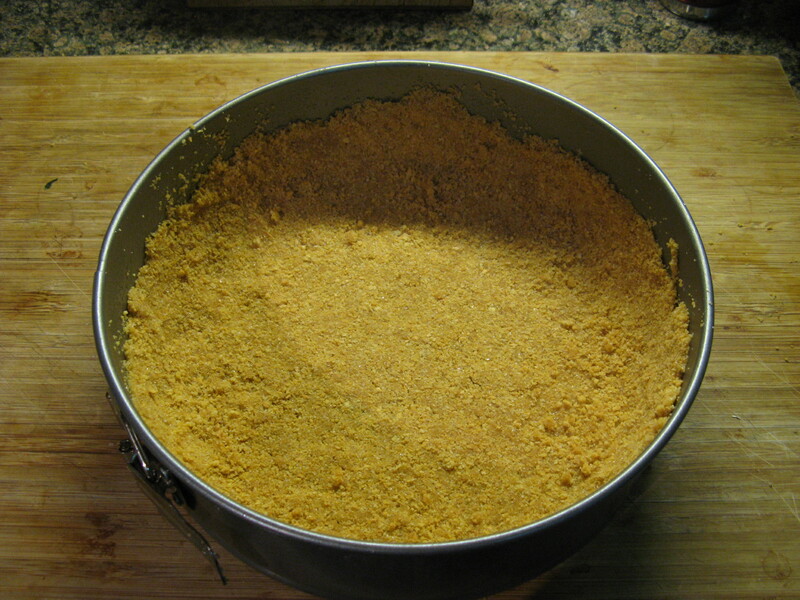 Pat crumbs over bottom and 1 1/2 inches up sides of a 9-inch springform pan. Place on baking sheet; bake 10 minutes until golden. Cool completely. 3. 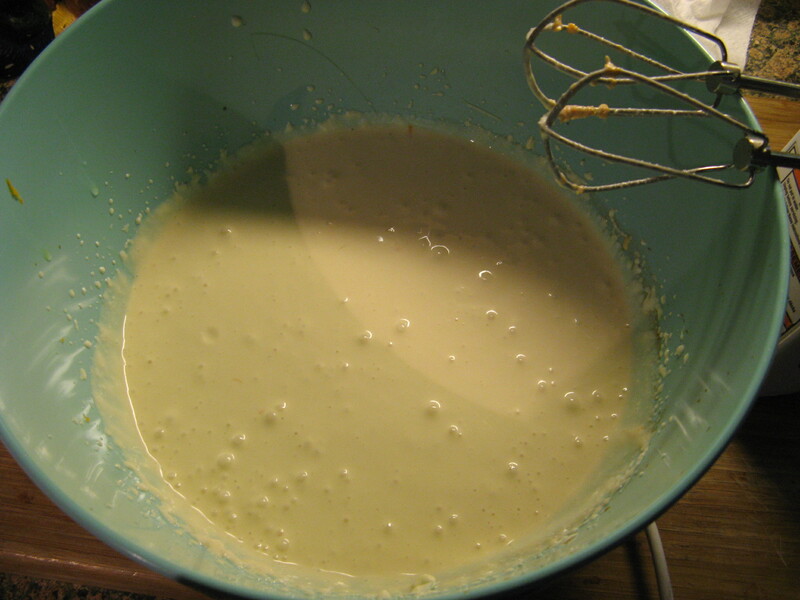 Beat cream cheese and condensed milk at medium speed in bowl of electric mixer until smooth. 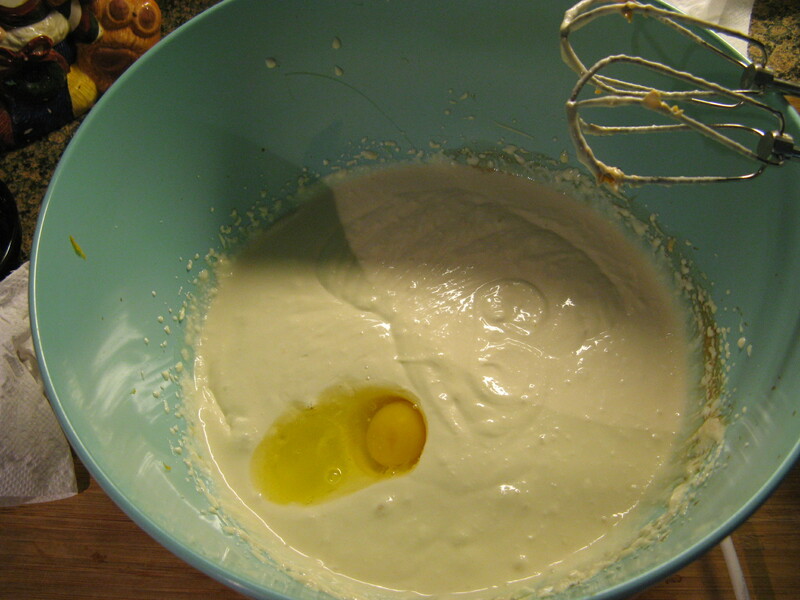 Add ricotta, vanilla, and orange zest; beat until smooth. Add eggs 1 at a time, beating well after each addition. 4. 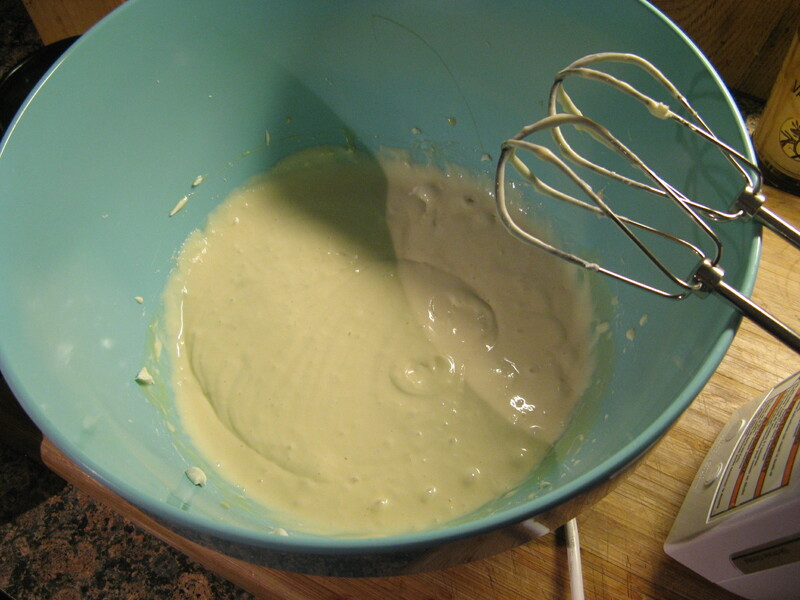 Pour mixture into cooled crust. 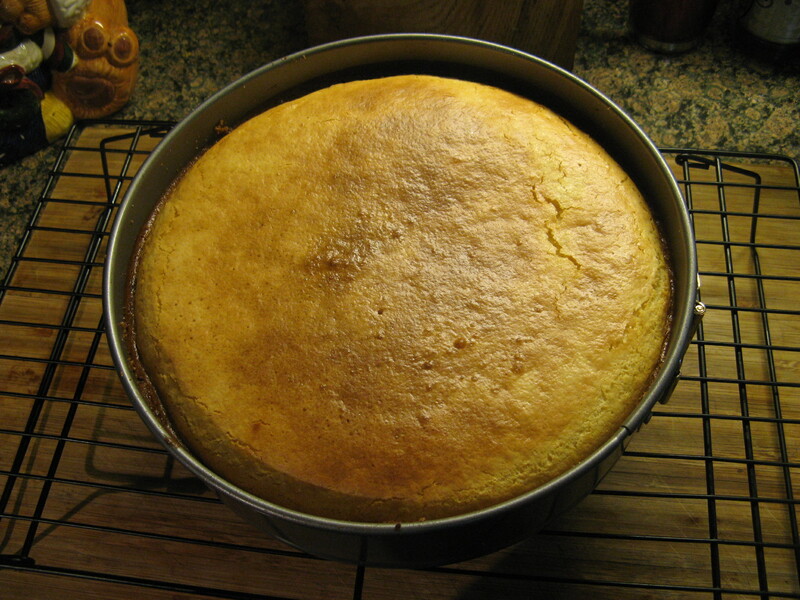 Bake 50 minutes until cheesecake is puffed and golden and a tester inserted 1 inch from center comes out clean. Cool on wire rack for 35 minutes. Cover and chill at least 2 hours. Serve at room temperature. I’ve been wanting to try a ricotta based cheesecake for quite some time now… It’s much healthier than traditional cheesecake. Yours looks fabulous! Thanks! I highly suggest this recipe… it was super simple and the cheesecake was delicious! I would have just gobbled it with some fresh strawberries. I love cheese cakes, they are always so refreshing and worth all the trouble taken. I’m glad the cake was perfect on its own even after the mishap with the strawberry jam. Have a pleasant day! Hey Liz… Yes, there is something about cheesecakes that make them the perfect treat sometimes. The sun-dried tomato soup you posted earlier sounds delish… Definitely something I’ll have to try once the weather gets a little colder. Have a great day! My weather, right now, has been soup weather for days on end! Summer took a long break! Enjoy your weekend!